As I have mentioned before on this blog, I tend not to be a huge fan of fresh hop beers. I like the creative aspect and I once made my own fresh hop beers. That was back when I grew hops on the side of the house and home-brewed every other week. And before aphids ravaged my hops plants. The problem with fresh hop beers is most of them don't have a lot of character. I suppose this is exactly what makes them special. When you use whole hops that haven't been compressed and dried, you wind up with beers that are typically juicier and brighter. More flavor or aroma? Not in my experience. But that's my opinion. It doesn't much matter what I think because the brewing community has jumped on the fresh hop bandwagon. A few years ago, your typical craft brewery might produce a single fresh hop beer this time of year. They'd pour that beer for a few weeks and that would be it. Craziness in craft beer being what it is, most places are now brewing several fresh hop beers and releasing them on a staggered schedule. There's a lot of denial out there regarding fresh hop beers. Brewers are happy to talk about the creative appeal and uniqueness of these beers. That's well and good. In practice, though, breweries are forced to have a fresh hop beer. Why? Because everyone else does. When your best friends jump off a cliff, you're obligated to follow, right? Indeed. 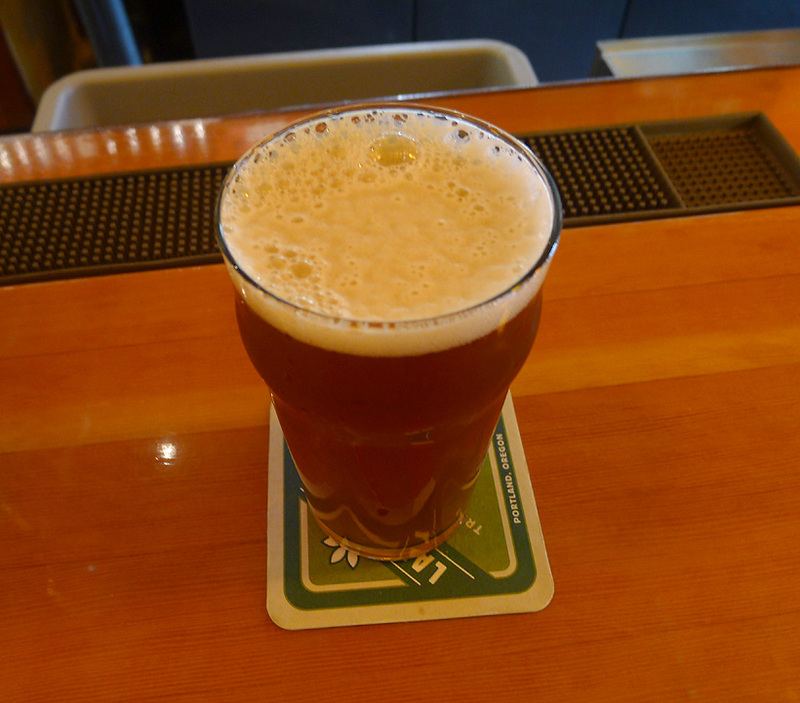 Despite my ragged opinion of fresh hop beers, I ran into a very nice one at Laurelwood yesterday. It wasn't Fresh Hop Workhorse, which I found to be thin and a mere shadow of its standard self. It also wasn't the fresh hop version of their terrific Pilsner. Instead, it was Fresh Hop Red, which they started pouring on Monday at the Sandy location. 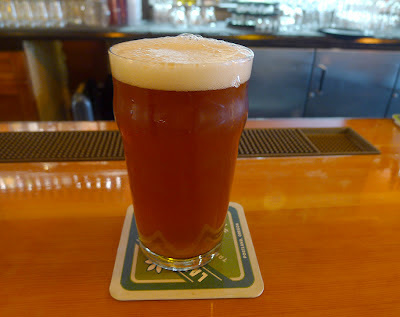 Fresh Hop Red is a modified version of Laurelwood's well-known and respected Free Range Red. They add fresh Cascade Hops harvested at Crosby Hop Farms in Woodburn for the fresh hop effect. This is a terrific beer...with a well-balanced hop and malt character. I suppose you could argue that some of the more volatile aromas and flavors imparted by the fresh hops are subdued by the chewy backbone of this beer. No matter...it's not to be missed. Brewmaster Vasili Gletsos says he hopes to keep the Fresh Hop Red on for a couple of weeks. This in contrast to Laurelwood's prior fresh hops beers (Workhorse and Pils), which lasted only about a week each before running dry. Get down there and give Fresh Hop Red a try. I'm a little behind on my blog reading, but man, I totally agree. That Fresh Hop Red is out of this world. The best I've had so far this year.